Bandits’ reign of terror has continued unabated in Sokoto and Kaduna States as 45 persons were reported killed yesterday. 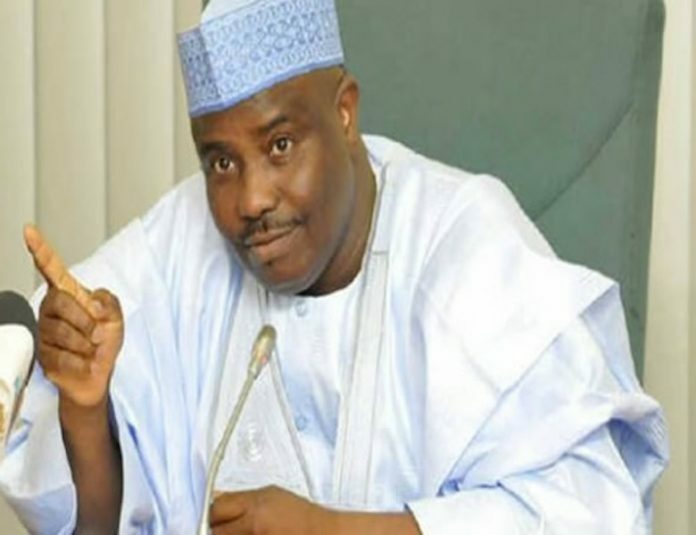 According to Sokoto State Governor, Alhaji Aminu Tambuwal, 16 persons were killed in a fresh banditry at Dalijan, Rakkoni and Kalhu communities in the Rabah Local Government Area of the state. The other 29 were reportedly killed by suspected Fulani herdsmen following a fresh attack on Karmai Village in Maro Ward, Kajuru Local Government Area of Kaduna State. Tambuwal spoke at a press conference in Sokoto and said the incident occurred on Monday night. Attacks by bandits, which started in the state on July 9 last year have led to the loss of 81 lives. The governor called on security agencies to intensify efforts at safeguarding the people’s lives and property. Commiserating with the victims and their families, Tambuwal prayed Allah to grant them the fortitude to bear the loss. 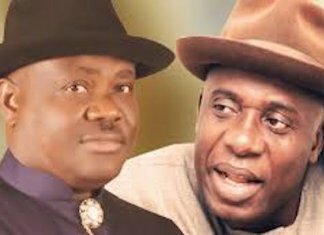 On recent political developments in the state after the just-concluded presidential and National Assembly elections, Tambuwal expressed his concern that some politicians were indulging in do-or-die politics. The governor said the situation had negated calls for peaceful campaigns and elections devoid of thuggery. He said: “During the elections, we experienced developments that clearly exhibited continued determination of the opposition to engage in do-or- die politics. “Leaders and loyalists of our party, the PDP were harassed, hounded and arrested by security agents even on the election day. According to him, many polling units identified as PDP strongholds had logistic and technical problems, which delayed balloting to very late hours. “We were aware of efforts to engage electoral officials and security agents by the opposition with a view to compromising their integrity. He emphasised that his administration was committed to free and fair elections, conducted in a peaceful atmosphere and freedom. “Our concern is greater victory through winning ballot boxes. Tambuwal urged the populace to continue to be patient and law-abiding as more critical elections that had direct bearing to people’s lives were coming in the next few days. He appealed to the people to re-commit themselves to the democratic process, stressing that people should prepare to come out and elect leaders of their choice. The governor said the people should not allow ourselves to be intimidated or terrorised to the extent of failing to discharge their civic duties in the remaining elections, scheduled for March 9. In a related development, 29 people have been reportedly killed by gunmen suspected to be Fulani herdsmen in a fresh attack on Karmai Village in Maro Ward, Kajuru LGA of Kaduna State. The attack was believed to be yet another reprisal over the recent killing of Fulani people in the area. The gunmen said to be in hundreds, were said to have invaded the community early yesterday (Tuesday) morning, shooting at people and burning houses. A source from the area who witnessed the attack, said the gunmen were dressed in military uniforms. The source added that the villagers attempted to repel the attackers, but could not withstand the superior fire power of the gunmen. “The gunmen came this morning – over hundred of them. They were fully dressed in military uniforms. Initially, our people attempted to repel them, but they couldn’t withstand the superior firepower of the Fulani,” he said. The source said further that mobile policemen, who later arrived at the community, could not contain the situation as they were overwhelmed and had to retreat. He said a vehicle of the “Operation Yaki,” the state government security outfit that conveyed the mobile policemen to the area, was burnt by the rampaging herdsmen. The source said: “Mobile policemen came but also retreated, one Operation Yaki vehicle was burnt by the bandits. “Soldiers have been deployed in the community and are engaging the Fulani. Fighting is still going on. Former president of the Adara Development Association (ADA), Mr. Danladi Yarima, confirmed the attack, describing it as unfortunate. 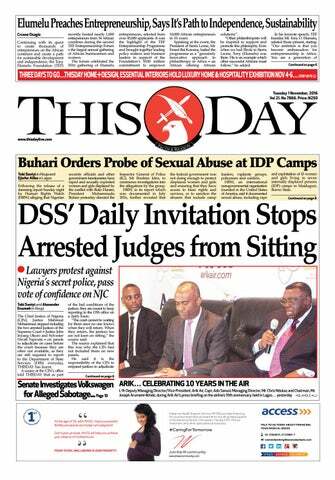 He called on the security agencies to act fast to stop the destruction of lives and property. A community leader in the area, who pleaded anonymity, put the casualty figures at 29 in a telephone interview with THISDAY in Kaduna. He said one mobile policeman was among those killed by the rampaging gunmen. According to him, some of the corpses were burnt beyond recognition, adding that some of the villagers were still missing. “We have recovered 28 corpses so far. Some were burnt beyond recognition. Several houses, including two Churches were burnt down. Some members of our community are still missing,” he said. 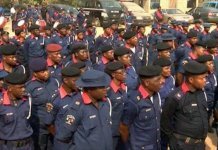 He, however, said the situation is relatively calm following the deployment of more security personnel in the community. When contacted for his reaction via a text message, the spokesman of the Kaduna State Police Command, Mr. Yakubu Sabo, said he would get back, but he never did at the time of filling this report. Efforts to reach him on phone yielded no result as the call was not connecting. The Kaduna State Government while confirming the incident, said it was saddened by the attack and called on the communities to remain calm. The state government, in a statement by Mr. Samuel Aruwan, spokesman to Governor Nasir el-Rufai, condemned the recourse to violence. 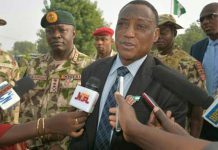 It said: “The Kaduna State Government has today (Tuesday) received the sad news of renewed attacks in Kajuru and Kachia local government areas. “The government condemns this recourse to violence, and calls on all communities to support the efforts to restore calm in the area. “Today, the Kaduna State Government was briefed by security agencies of renewed attacks in Kajuru LGA, and in parts of neighbouring Kachia LGA.